For those prospective students walking by the school, we put a bit of printed material in the window. We also have these easy information cards, known in the printing industry as rack cards, which have the essential details. 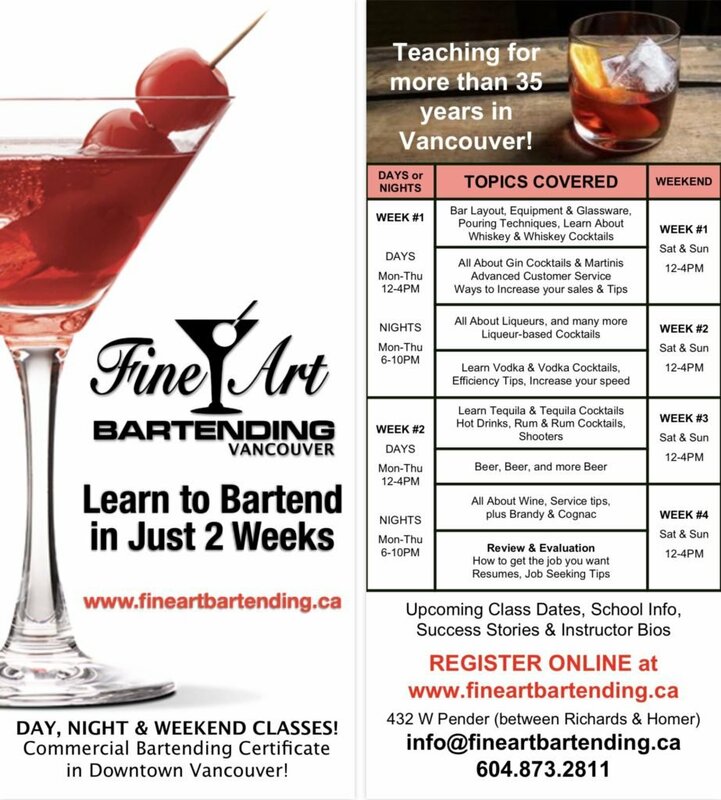 Our Bartending Course dates can all be found by sorting through our Day, Night or Weekend Course options. We also have put together a calendar with all our class dates on it for easy reference. If you are looking for answers to some of the more common questions, please check out our frequently asked questions section. We cover all the most popular questions related to our bartender training program, and give you a link as to where to find answer to those common questions about our working flair bartending seminar.